Some rumors have been floating around the internet for years: “You can’t get work from home if you’re a new graduate of an online medical transcription school.” These “sources” say you must have a minimum of two years’ experience before you’ll be hired. Why the scare tactics? I suspect they have their own reasons, and for graduates of average programs this may even be true, but let me tell you why this way of thinking is a fallacy in many cases. First, you don’t need medical transcription certification to get a job at home as an MT. You don’t even need to be a graduate from an MT school. Here’s the secret: You simply need to be able to pass the employers’ tests. Is it really that simple? Real on and find out why it is! So if passing the employers’ tests is all that’s needed, how does one go about doing this? • First there are schools and programs whose instructors have never transcribed; they are simply there to administer the program. This applies to many of the thrown-together schools you’ll see online and on the back of matchbook covers and magazines. The program material is basic and straightforward, yet not comprehensive enough to get employment without additional experience. • Second, there are schools whose entire curriculum is online, but there aren’t instructors around to exchange questions and answers with. This doesn’t do you much good when you’ve got an individualized question, a technical problem, or just need to clarify a point made in the online training. You need more than computer feedback to explain things sometimes and to make sure you “get it.” Computer grading just doesn’t cut it. • Third, there are schools whose training really is just not deep enough. These programs may not include much beyond the basics – some of the more important parts of learning the medical language, such as laboratory, pathology, and pharmacology, but they never go beyond the basics. The book learning may be there, but the students have never learned how to apply it to real life and to develop those critical thinking skills that employers need. • Fourth, there are MT schools whose goal it is to simply graduate you and turn you loose after sending you their certificate of completion. We’ve talked to plenty of graduates from these types of programs who couldn’t find jobs and wanted to know what our secret was. These are just some of the reasons why a medical transcriptionist may not pass the employers’ tests. But that shouldn’t stop you if you really want to be an MT– just do your homework and choose a school that focuses on YOU, the student, not the school with the most professional website or the biggest student forum. The fact is, even if you have a mentor nearby, it’s imperative that the newly graduated MT job seeker be familiar with the job-hunting process. You will want the school you choose to absolutely teach this information. But there are other things that you’ll want to be sure you learn as well—things that go way beyond the basics. For example, the ideal school should be a combination of online and book learning. Learning online is important because you’ll get used to spending a lot of your time online, just as you’ll be doing on the job. Learning through books is important because you’ll be doing lots of research in books during your training. Plus there may be times you’ll want to go recline in your chair and just read a book instead of sitting up at the computer. A school with both these features works ideally in this situation. The ideal school should also have at least one qualified instructor that you can reach out to at any time. There should be frequent interaction between the student and the instructor, and the student should feel free to ask questions anytime. There should be instructor feedback on a regular basis so the student knows he/she is on the right track, and a student forum is helpful when many different people interact together to solve problems and discuss issues related to medical transcription. It’s like having your own personal mentor there anytime you need one. The ideal school teaches many different specialties, not just 7 or 8. This prepares the student for the real life situation of transcribing for their employer; they never know what they’re going to get to transcribe for the employers tests, so they need to be prepared for every situation. At the minimum, you should expect instruction on 15-20 different medical specialties, although the more quality schools will teach this plus more. The best schools will also teach laboratory, pathology and pharmacology so the student will have a well-rounded education and know what the dictator is talking about when dictating drugs the patient has been prescribed or taken in the past and lab work needing to be done. Another thing to look for is a school that uses real-life audio dictation for your MT practice. Watch out for those schools that put together their own audio files to save money. For real in-depth training, you need the advanced nature of actual physicians dictating actual patient reports in a hospital setting. Staff dictated reports don’t do anything but teach you the basics, and you certainly won’t be employable if this how you learn. The ideal school should have real textbooks and reference material as part of the program. Some of the so-called top schools have mass produced “homemade” spiral booklets that they give to the students in place of formal textbooks. This is just a money-saving venture on the part of the school, and should never take the place of real textbooks and reference material. If you are researching medical transcription programs, make sure the program you choose includes a quality medical spellchecker and a Stedman’s or Dorland’s medical dictionary. You will absolutely need these items and will have to purchase them separately if the school does not include them in the course. Be cautious of the schools that include or “offer” an internship with their training program. Although they claim to have internships, many times the student is forced to pay as much as $400, $500 or even more to “participate” in the internship, which is simply working for a company on a part-time basis with no pay for up to several months and doesn’t even guarantee a job at the end of the internship. If the school was a really high-quality school, their students would be able to get jobs directly after graduation without resorting to this type of tactic which really robs the student of income they could be earning all that time. The feedback on transcribed reports should be given by the instructor while still in school, not while on the job when the student could be earning a living. Lastly, call each school that meets the criteria you have chosen and talk to them. Get the name of the individual you are speaking with and ask about their MT experience. Make sure it is not merely a sales representative trying to sell you something. For an investment like this, you need to be sure you get the proper information from someone in authority. 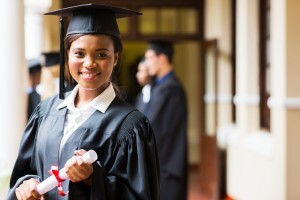 It’s true, there may be times where a graduated from an inferior school is able to get a job immediately upon graduation, but upon a closer look, it is because the graduate is a gifted, intelligent individual who is determined to make it work. There are people like this, although few and far between, who will take lemons and turn it into lemonade, but it takes a special skill and dedication to figure out how to get the education you need when you’re not getting it properly in the first place, and it’s frustrating to say the least. 2. High quality, certified MT instructors who actually grade your work and give personalized feedback, answer questions, and make suggestions to help you. The more personalized the training, the more chance you have of being successful on the job when you start working from home. 3. Audio dictation practice that consists of REAL physicians, doing real dictation on real patients, in a hospital setting. You want to get the real thing in a variety of accents, specialties, types of reports, and situations. The best training takes you from easy through intermediate to difficult dictation along with high-quality feedback from an instructor. 4. The very best schools will have a high success rate with job placement assistance as part of your training package. Ask the schools ratio for placing graduates. If it’s not at LEAST 99% or above, you may want to reconsider. You need a school that’s going to work with you no matter what it takes to get the job done. The whole goal for going to school in the first place is getting a job of your choice, and this does not mean an internship for little or no pay. 5. Computer and software training as part of the school package, as well as technical assistance anytime you need it. The best schools will want to make sure your technical skills are top notch and will include a typing tutorial, expander program training, and all the little tricks of the trade that make the difference between a basic MT and an advanced, knowledgeable MT. Don’t make the mistake that we’ve seen so many make before. Do yourself and your loved ones a favor and do the research before you enroll in medical transcription school. See why MT School of Canada is different from all the others. You’ll come out so far ahead in the long run. Interested in learning job how much MORE great training can earn you over your lifetime? Just take a look at our article that explains the different ways How Medical Transcriptionists are Paid. For more information on medical transcription training and working at home, take a look at our other articles on our blog or give us a call. That’s what we’re here for – to help you be the best MT you can be. MT School of Canada offers a premier, advanced medical transcription training program designed to put YOU in the driver’s seat with YOUR work-at-home career. Visit our website today and let us know how we can help YOU get started today!